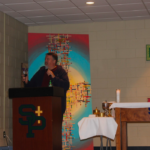 On Thursday, February 7, Father Godfrey celebrated Mass with St. Patrick Catholic High School. 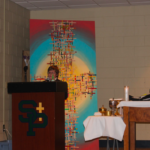 Every week, the student body and staff come together in a sacred space to celebrate the Eucharist. 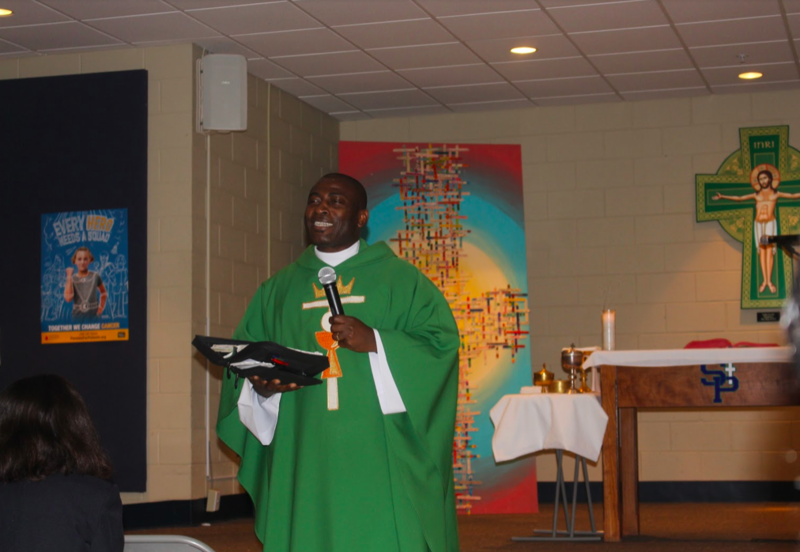 This was the first time this year that Father Godfrey had come to the school, and the students enjoyed him very much. 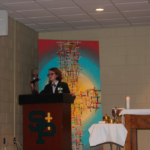 The students’ families and alumni of St. Patrick are always welcome and even encouraged to join the school for Mass. 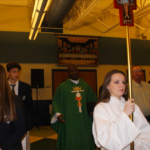 Different students volunteer each week to participate in the Mass by bringing up the gifts, being a lector, or even by being an altar server. 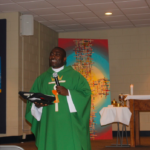 A different priest celebrates with the school every week, and this week Father Godfrey joined. The next Mass will be celebrated by Father Colten in celebration of St. Valentine’s Day on February 14. 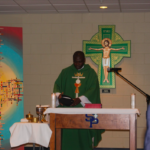 Photos of the Mass can be viewed below.